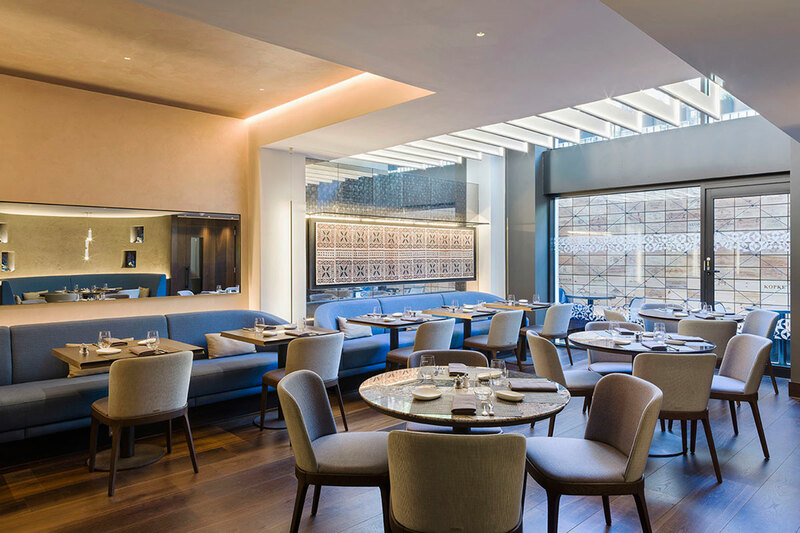 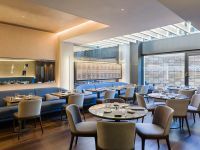 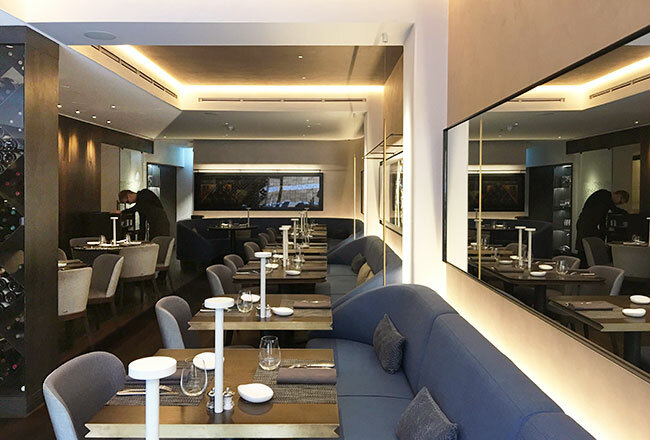 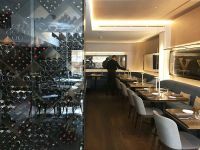 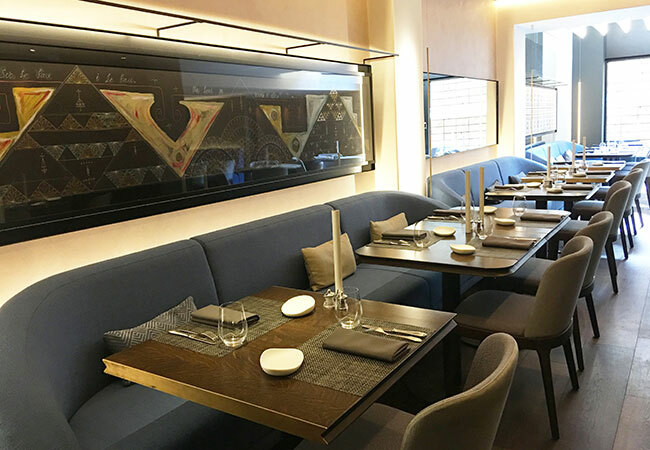 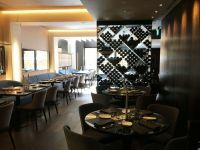 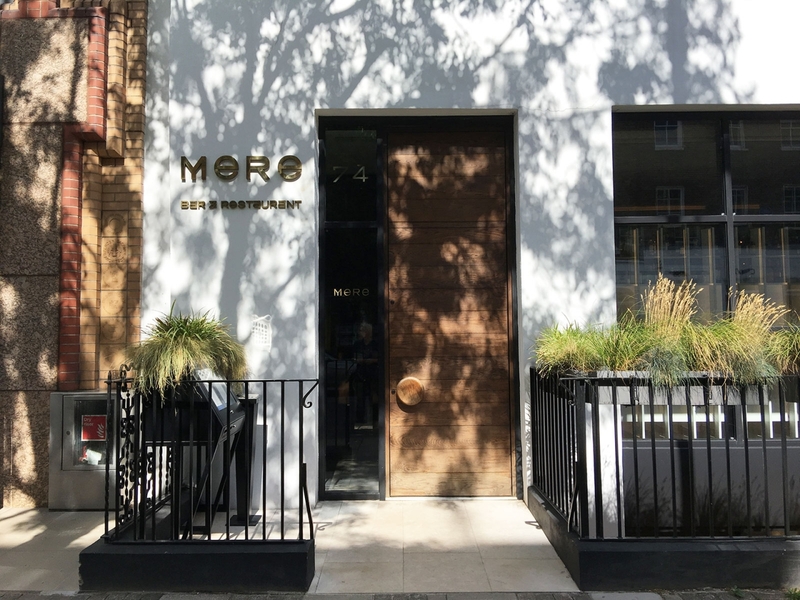 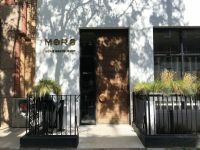 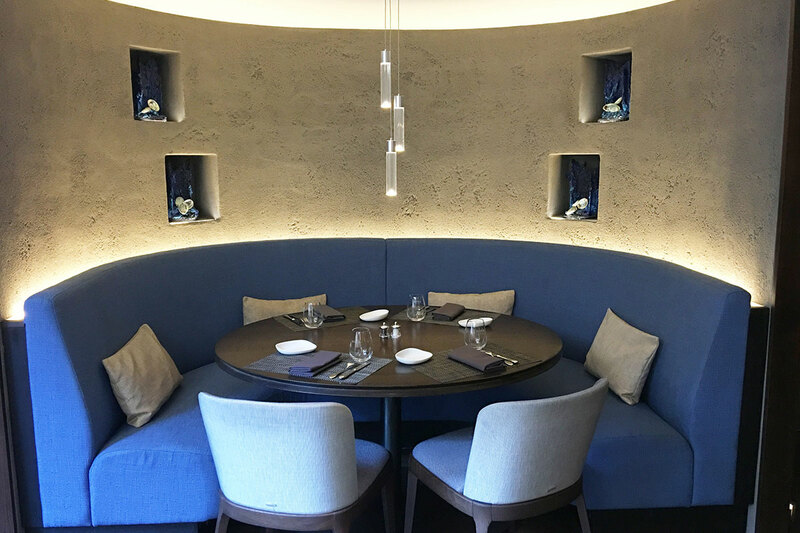 Situated in Fitzrovia’s fashionable Charlotte Street, Mere is the first restaurant by expert chef Monica Galetti and husband David Galetti. 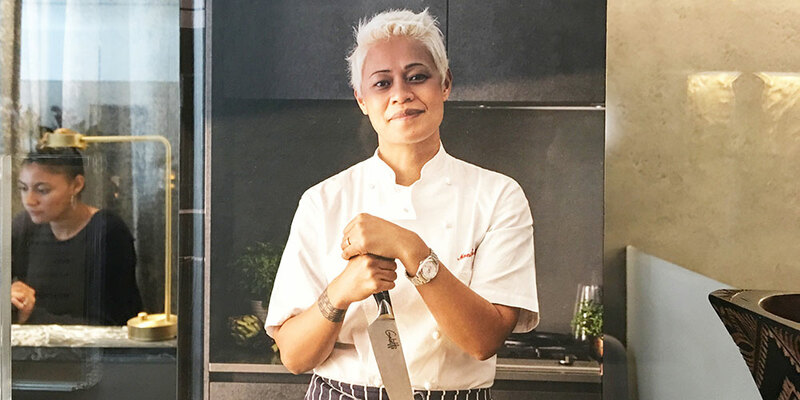 Monica is best known from British TV programme ‘MasterChef - The Professionals’ and ‘Amazing Hotels – Life beyond the Lobby’. 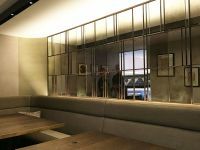 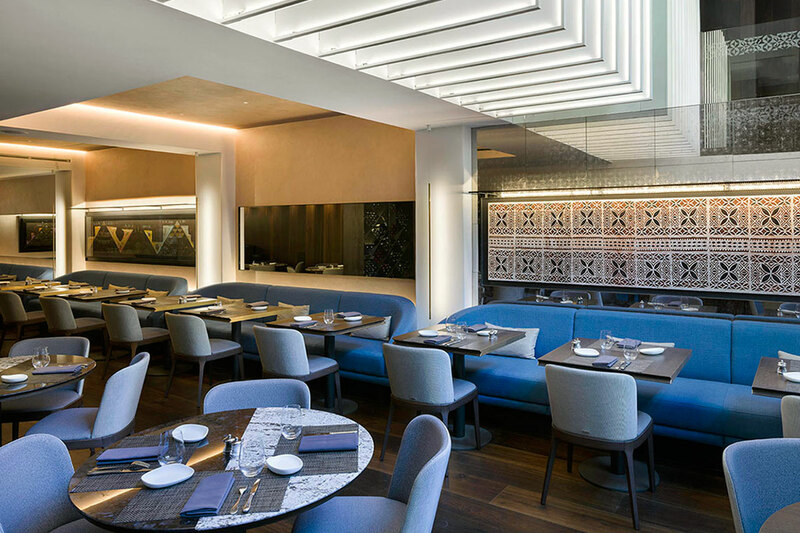 Mere restaurant designers created the interior with a minimal palette and finishes of white polished marble top and fluted metal edging. 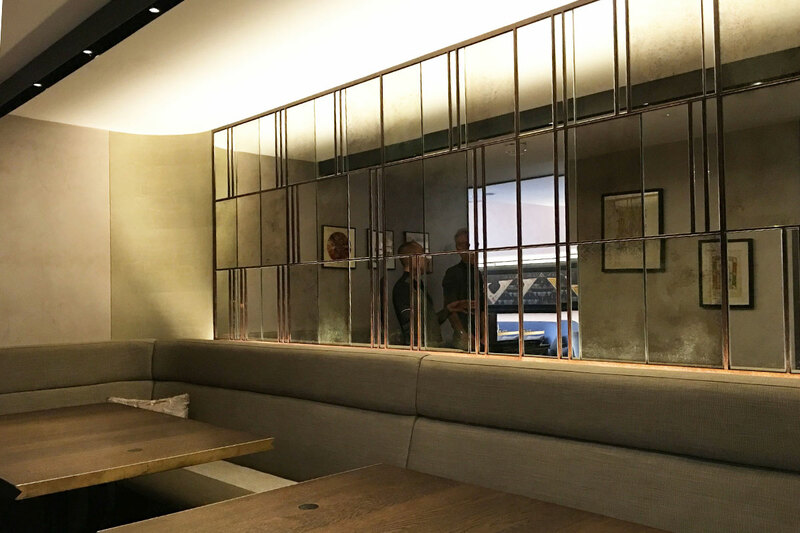 Generous void behind the bar creates cantilevered effect and allows natural light to access the restaurant beneath. 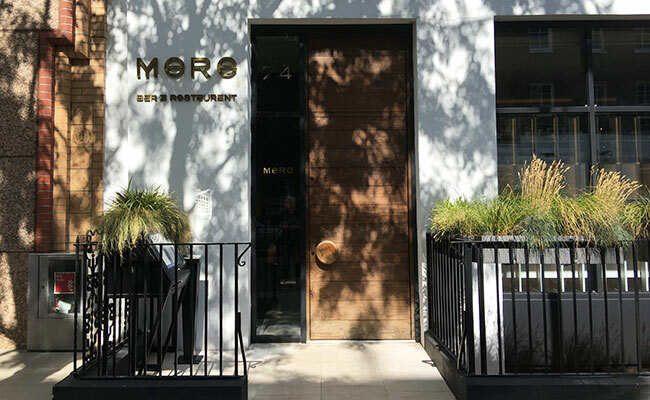 The exterior of the restaurant is modern and minimalist with rendered off white walls and a tall wooden door. 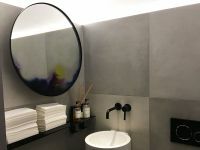 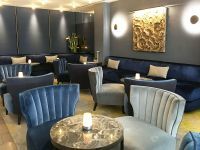 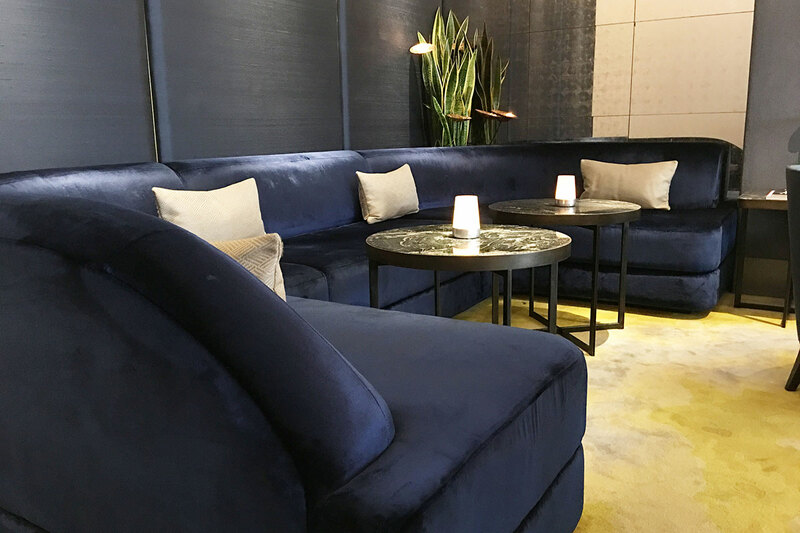 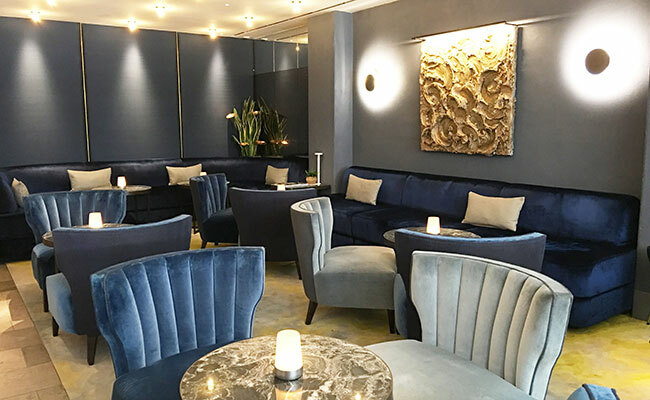 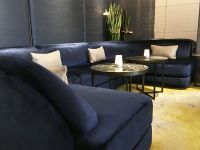 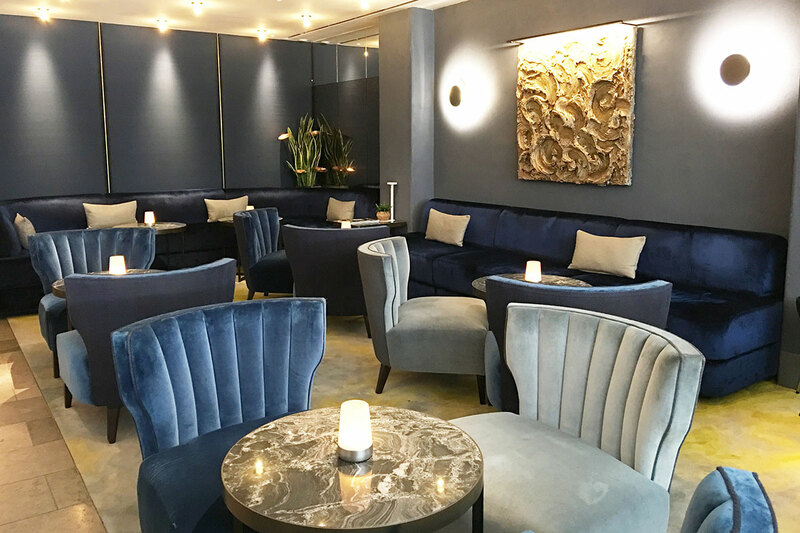 The soft furnishings are a combination of petrol blue and blue grey velvet lounging chairs and banquette seats against walls with polished grey marble coffee tables. 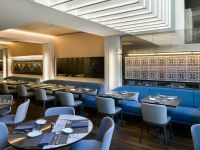 Mere restaurant Architects used full height panelling to break up the grey walls, further softened by aid of a large grey and yellow carpet. 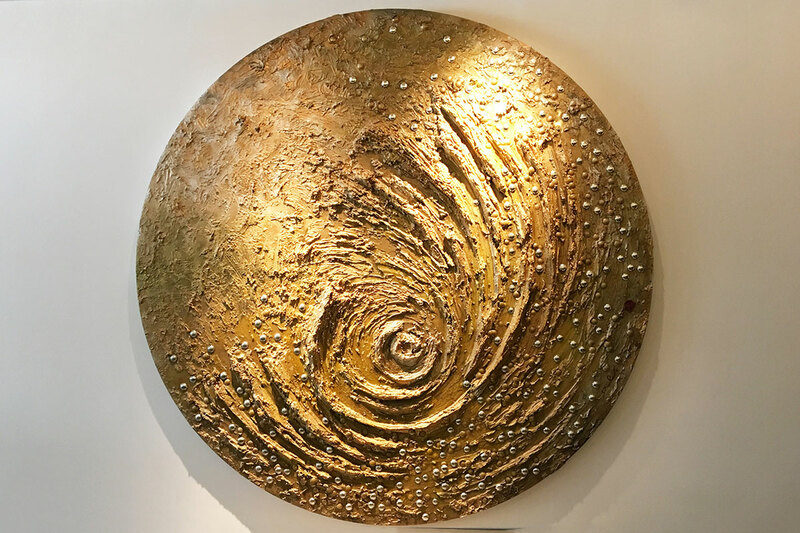 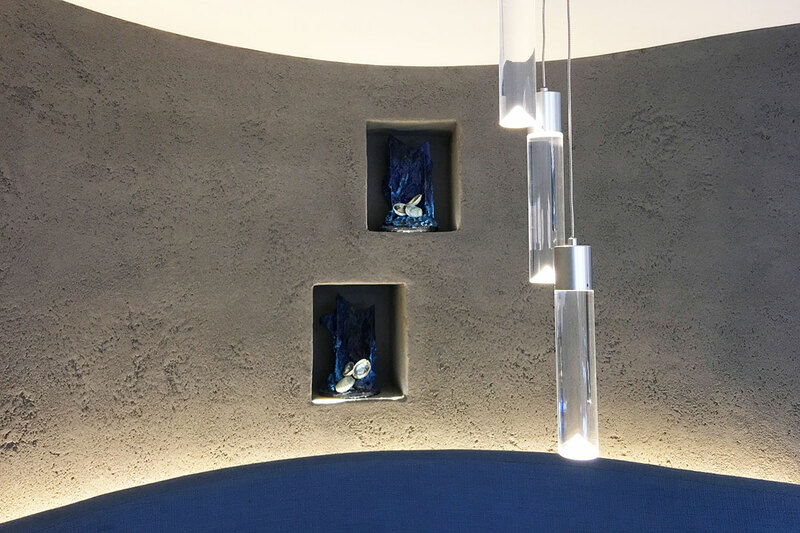 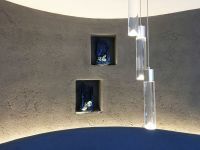 Champagne inspired sculptural wall art contrast with the simple interior palette. 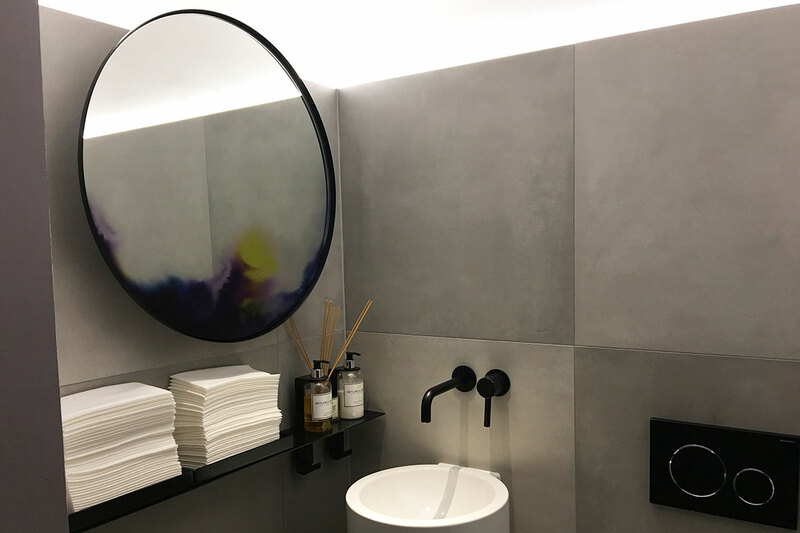 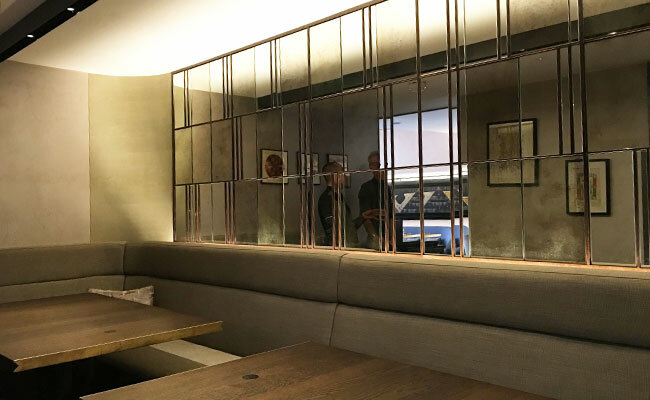 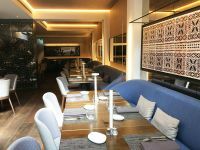 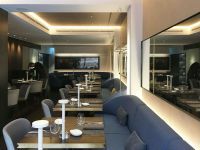 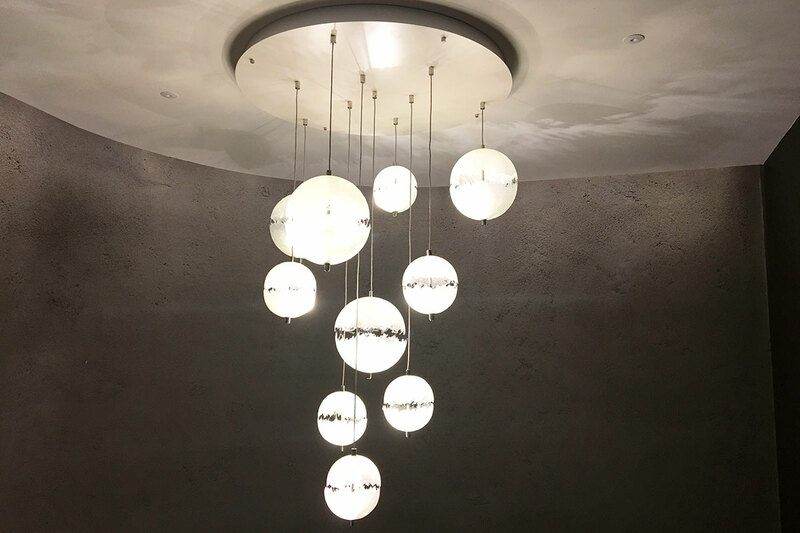 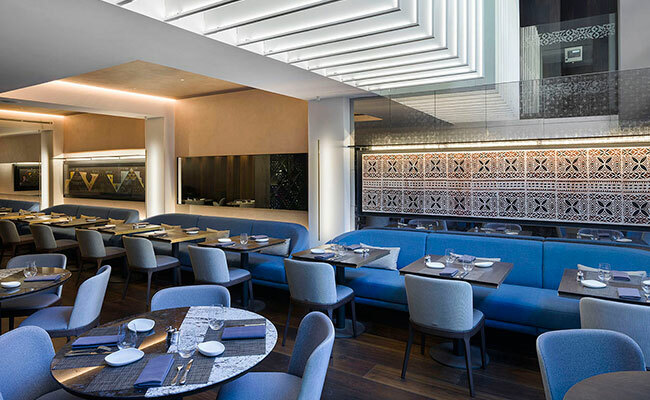 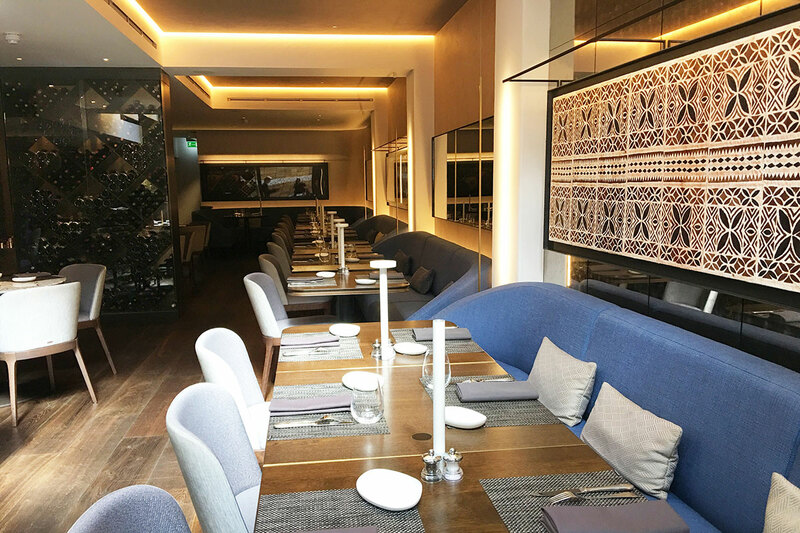 The basement restaurant features the dark wood flooring, grey and blue soft furnishings and pale walls adorned with large wall mirrors and illuminated traditional Samoan art. 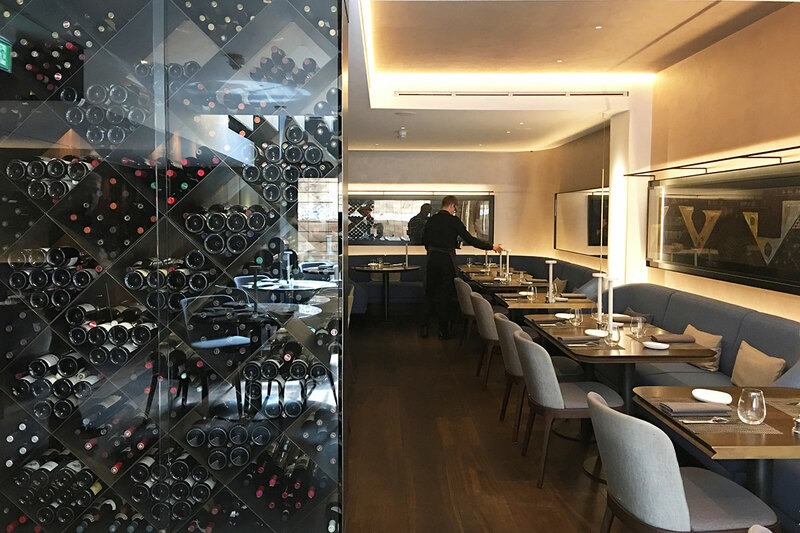 The otherwise narrow space is made interesting by an addition of the full height glass cabinet housing enviable wine collection. 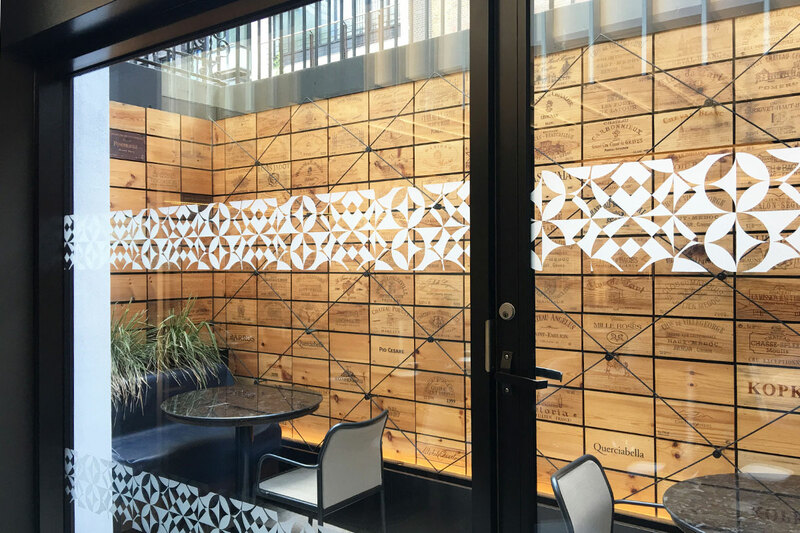 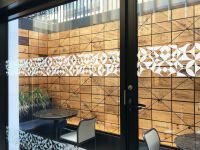 Alfresco dining in the courtyard is enriched by repurposing of the traditional wine crate to decorate the walls to great effect. 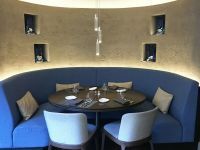 Private dining room seating up to 11 people features multimedia screen link to the kitchen and feature mirror. 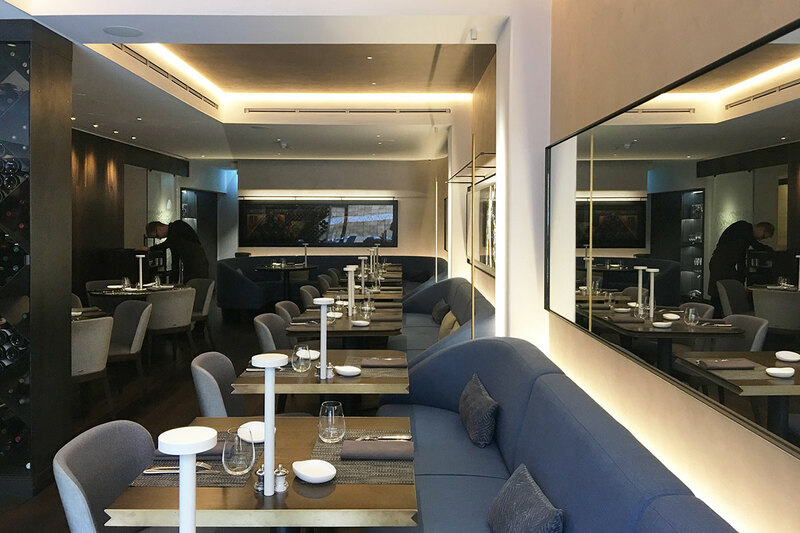 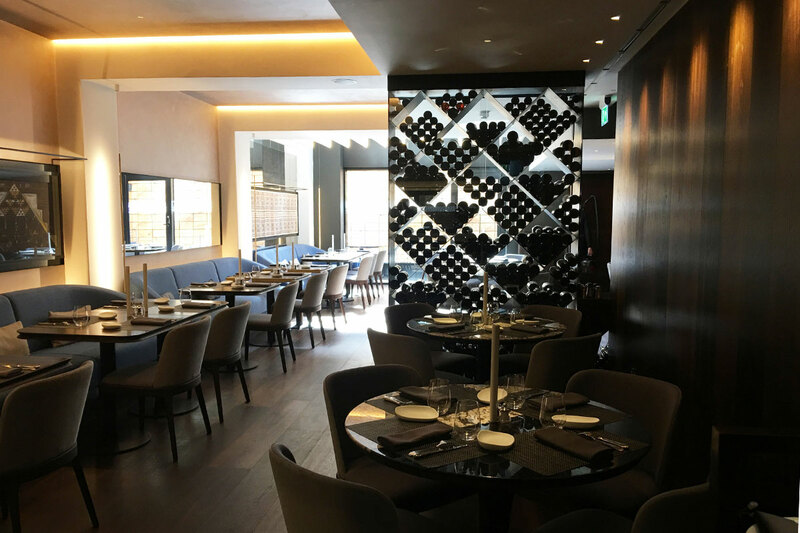 Mere restaurant Interior designers created a modern, understated and elegant dining space.